Jenny Lau, AsBAA Chairperson said, “We warmly welcome Mr. Omar to the Board of Governors and we look forward to closer collaboration as UAS enhances their presence in Asia. AsBAA has taken significant steps forward on behalf of the industry which would not be possible without the support of our members. As we approach the next board elections in June 2019, we will be working closely with Mr. Omar to define his new position as part of the AsBAA Board of Governors. We wish UAS every success in Asia”. 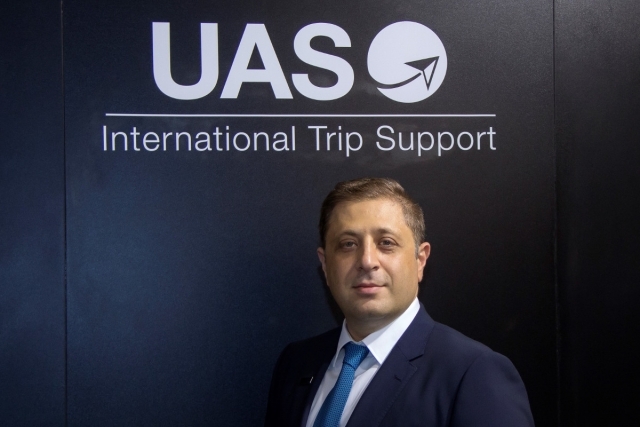 Mr. Omar Hosari said, “Our clients expect the UAS standard of quality at all stations around the world. For UAS to guarantee this standard, we are expanding our network of strategic partners in Asia to create a network of best in class suppliers for our customers. We recognise and value the role of AsBAA in providing a platform for expanding our network and providing support in Asia and we are pleased to invest in the industry by supporting the association. We are honoured to have the opportunity to contribute to AsBAA’s work in the region by representing the needs of the sector at Board level”. UAS has been a member of AsBAA since 2013.The company upgraded its membership to platinum status in 2019 to support its evolving Asian Pacific business activity. To kick-off the company’s enhanced activity in Asia, UAS will exclusively host the AsBAA Member’s Reception and networking event on Monday 15 April. Mr. Omar will also give insight into market conditions by speaking at the AsBAA led Education Sessions at ABACE2019. AsBAA’s Board of Directors is elected every other year during a live member’s vote at the annual general meeting (AGM). The Board of Governors is made up of volunteers that represent each sector of the AsBAA membership. AsBAA’s new board of directors is due to be elected at the association’s Annual General Meeting (AGM) 11 June 2019.